We were very cautious in selecting a builder because we weren’t from the area and had been told lots of horror stories about building by friends and family. After nearly one year of interviewing ten different builders and getting their quotes on our unique house plans, we selected David & Holly to work with. They stood out for their professionalism, the effort they took to understand what we wanted, their reasonable and accurate-feeling estimate, and the good working relationship that formed so quickly. We were also very impressed with the portfolio homes they took us to view. 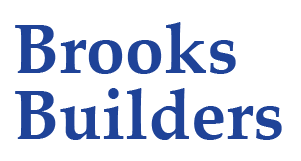 The extensive in-house capabilities of Brooks Builders made a big difference. None of the other builders we talked to were capable of doing so much of the project themselves…plumbing, septic, excavating, landscaping, construction, and more. Time and again this saved us money. David also has a great network of subcontractors that did top-notch work. He got us a poured foundation for less than other builders quoted for block. Eli, Jesse, Jimmy, Justin and the entire crew did a great job with high quality workmanship at every step of the way. David met with us frequently on site to discuss details of the plans and any questions that had come up about our intent. He was committed from start to finish in building us exactly the house we wanted. We really appreciated the many times he had suggestions on how to save money without sacrificing quality. Brooks Builders built us the house we had been designing for years quicker than we had imagined possible. Despite starting the project mid-winter with several extended spells of bad weather early on, construction proceeded quickly. Our friends in Cocke County started a house at the same time, and their framing was just getting finished while we were already enjoying our first weekend cookout in our new house! Along the way Holly kept us informed about how various costs were coming in compared to the initial estimate, and patiently reviewed invoices. We were demanding clients with a unique project and tons of questions along the way, but she always greeted us with a smile. In the end our home was built better, looked nicer, was finished faster, and cost less than we had ever imagined possible. So many people told us you’ll only build a custom home once. With Brooks Builders on our side, we can’t wait to do it again. 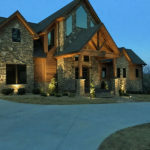 See pictures of the house “Modern in the Mountains” in our portfolio pages.